AMSTERDAM--(뉴스와이어) 2019년 01월 09일 -- To meet booming global demand for Low Power Wide Area (LPWA) IoT connectivity, Gemalto announces a platform of innovative Cinterion IoT Modules based on the latest Qualcomm® 9205 LTE IoT modem from Qualcomm Technologies, Inc., a subsidiary of Qualcomm Incorporated. The new solution is designed to support global LTE-M and NB-IoT connectivity with optional 2G fallback from a single, ultra-small IoT module. Ready for the latest 3GPP specifications (Rel 14), the platform will be loaded with Gemalto security and value-added features specifically designed for compact, power-efficient IoT applications including smart meters, asset trackers, healthcare, wearable and smart city solutions. 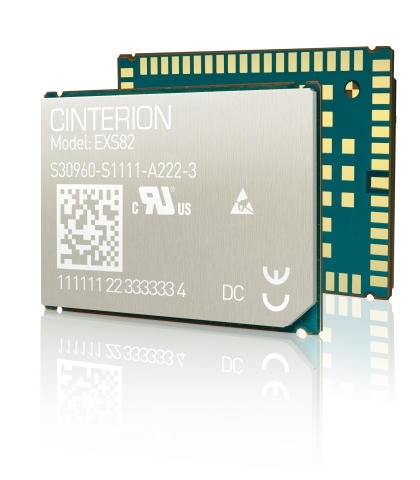 Available in the second half of 2019, the first Cinterion products based on Qualcomm Technologies’ next-gen IoT LTE chipset will include the multimode Cinterion EXS62 IoT Module and Cinterion EXS82 IoT Module with 2G fallback. The miniaturized solutions are designed to deliver global connectivity and extended coverage range with support of power class 5. This can enable up to 70% reduced power consumption helping to preserve the battery for applications in remote locations. It can also reduce cost and complexity for device makers and ensures worldwide reliability, which is crucial for the 6 billion new IoT devices expected to leverage LPWAN connectivity by 2026. Built on Gemalto's expertise in securely managing billions of digital credentials, the new Cinterion platform will include an integrated onboard eSIM along with secure remote provisioning capabilities. Together, the solutions can authenticate IoT devices, encrypt data and securely manage connections to cellular networks globally. Embedded into the IoT module, tamper-resistant embedded SIMs will reduce the size and cost of solutions while simplifying the supply chain. Embedding digital identity certificates inside Cinterion IoT Modules during manufacturing strengthens IoT device security and ensures data privacy. Leveraging a digital handshake authentication process, certificates verify the identity of device and applications to streamline enrollment in all the main IoT cloud platforms. It will also simplify development and reduces TCO for OEMs by eliminating the need to deploy their own secure production facilities. The Qualcomm 9205 LTE modem is a product of Qualcomm Technologies, Inc. and/or its subsidiaries.